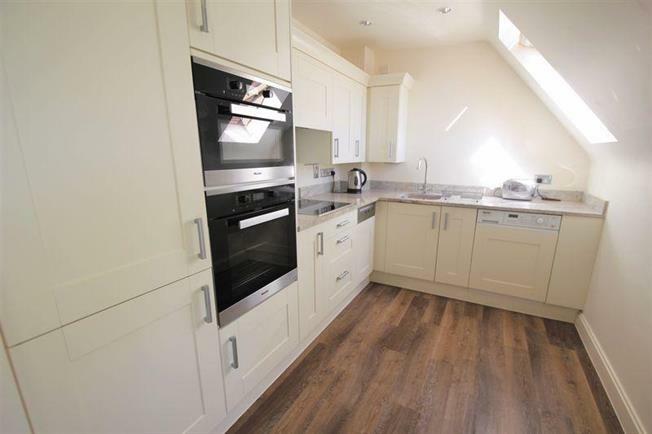 1 Bedroom Flat For Sale in Yateley for Guide Price £420,000. A deceptively spacious one bedroom penthouse apartment situated in the Hampshire Lakes Development which is presented in very good order. The property enjoys a luxurious fitted kitchen and large shower room, ample storage and a rare allocated parking space. There are an array of facilities on offer for the residents situated in Oakleigh Square.